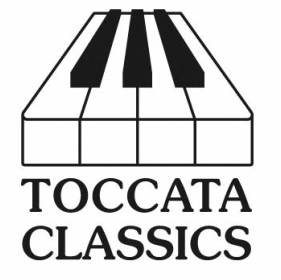 A concert featuring the music of our 2016 album to be released on the UK label Toccata Classics and distributed worldwide by Naxos. This album is a collaborative effort between Cuatro Puntos, Afghan music scholar and Cuatro Puntos' composer-in-residence Dr. Sadie Harrison, and the Afghanistan National Institute of Music. It is a tri-national collaboration meant to show solidarity between Afghan and Western musicians, and will help the voices of Afghan children be heard around the world. Cuatro Puntos musicians alongside Ensemble Zohra (Girl's Ensemble) and faculty at the Afghanistan National Institute of Music in Kabul. Concert is in the auditorium. Signs to the auditorium will be posted at the Cathedral. Admission is free, however a free-will offering is appreciated. Sadie Harrison: Gulistan-e Nur "The Rosegarden of Light"
*The youth ensemble parts will be performed by the girls of the Afghanistan National Institute of Music via recordings made in Kabul in August 2015. Cuatro Puntos sextet to perform on the concert. and the young women of Ensemble Zohra in Kabul, via video. The music performed at this concert will be released on an album with UK label Toccata Classics, which is internationally distributed by Naxos. Joining Cuatro Puntos on the album will be the girls of Ensemble Zohra (heard on this concert,) and the young men of the Junior Ensemble of Afghan Traditional Instruments. Ensemble Zohra and the Junior Ensemble of Afghan Traditional Instruments were recorded in Kabul, Afghanistan in August 2016. Cuatro Puntos will be recorded in Hartford, Connecticut in January 2016. The album will be available locally in the UK in June 2016, and internationally by late summer 2016.